If you're on a Mac, you can develop your Vapor project using Xcode. 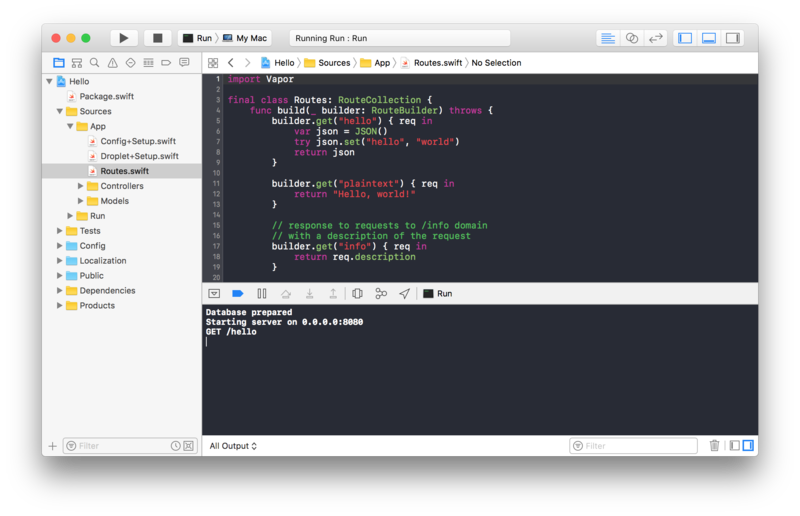 You can build, run, and stop your server from within Xcode, as well as use breakpoints to debug your code. To use Xcode, you will first need to generate a *.xcodeproj file. Make sure after generating your Xcode project that you properly select the executable if you're trying to run your application. To generate a new Xcode project manually. Open the project and continue normally.